On Friday, February 14th, our students will participate in a Valentine's Card Exchange. Please ensure that if your student brings cards to exchange, they bring one for every student in our class. A class list went home today. There will be a flat entrance fee of $10. 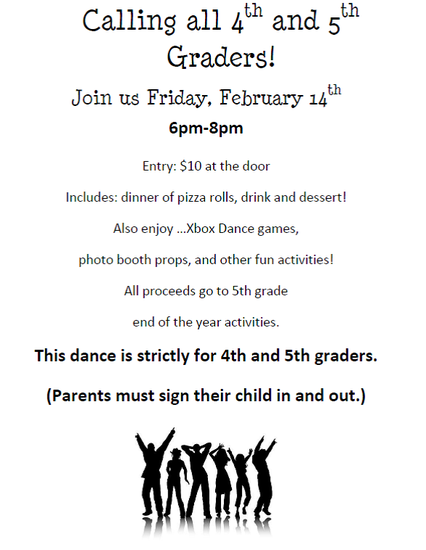 It will provide food (pizza rolls, drink, and dessert), entrance, and pay for the rental of laser lights, etc.